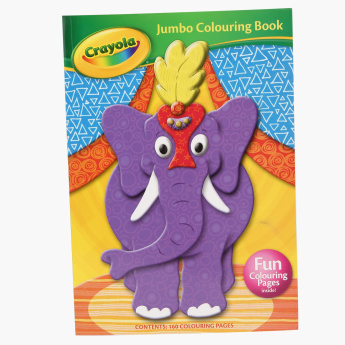 Crayola Jumbo Colouring and Activity Book | Multicolour | Get your child creative and let him have loads of fun with this jumbo coloring book. 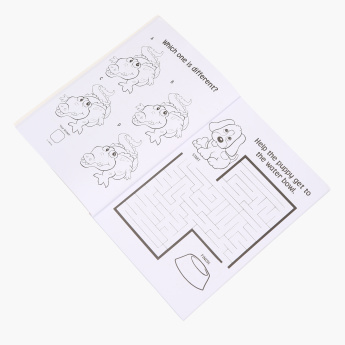 Watch your little one learn and get creative using this colouring book that comes with various activities. The activities will help develop various skills and will allow him to grow sharper. Feature 2 : The book contains more than 160 pages of beautiful pictures to color. With so many new designs, you child can never get bored. 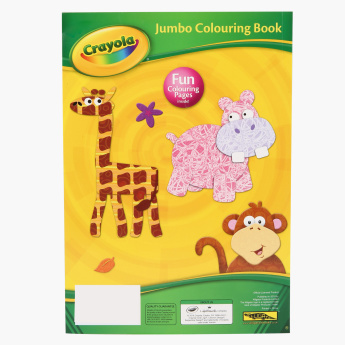 Feature 1 : Get your child creative and let him have loads of fun with this jumbo coloring book. Feature 3 : Helps to develop the child?s early pen control, improves motor skills and concentration.